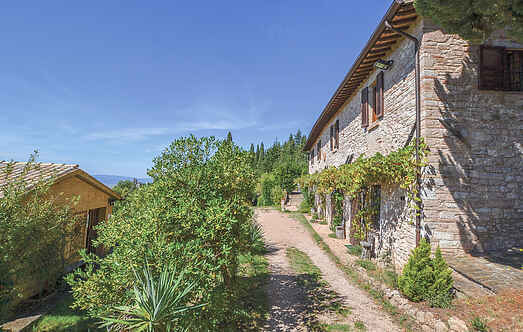 Find a vacation home to rent in Assisi from our list of vacation rental properties. Campaya has over 31 vacation homes available in Assisi, which give you the possibility to locate a unique accommodation in Assisi which completes your check-list in search for the perfect self catering vacation apartments in Assisi or vacation villas in Assisi. Romantic holiday apartment in a two-family house, situated in a quiet position above Assisi (1 km). Simple, rustic style furniture. One of the bedrooms has a balcony. Delightful country house on the Umbrian hills, recently renovated and split into 6 apartments, one of which is the owner's private home. Typical country décor. Bright holiday apartment in the center of Assisi. Near Assisi (3 km), on the slopes of Mount Subasio, lies this stylish villa from the 19th century. In the picturesque streets of the upper part of the old town of Assisi, directly at the ancient amphitheatre, lies this modern furnished apartment on the ground floor of a private house. Ancient three-storey stone-built tower (70 m2) that has been recently renovated and made into a holiday home. Romantic stone house in a panoramic location 2 km above Assisi. The two floors of the house are connected only by an external staircase. This holiday house with pool is located 6 km from the town of Assisi, nestled in the woods of National park of Monte Subasio, in front of the beautiful Umbrian town. This pretty annex of a villa, in which the owners live in throughout the year, is situated on the slope of a hill. Views over the countryside. Peaceful position.